James Packer's Crown Sydney Casino is getting closer to final approval with the NSW Department of Planning recommending Crown's plans to the Planning Assessment Commission for approval. Packer's Crown Resorts agreed to make concessions at the Barangaroo site including reducing the bulk of a podium facing a public walkway and to provide public access to an observation deck on the 65th floor according to The Australian. Also, public areas such as the new Hickson Park, Central Parklands and the foreshore will be better connected and views of the water will be improved. Waterman’s Cove and the surrounding public promenade will be redesigned and public access to the foreshore will be improved. 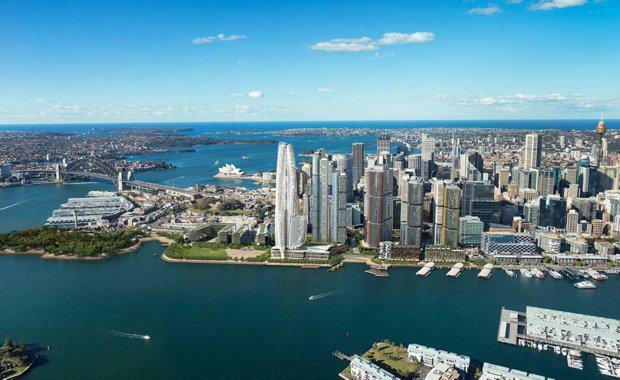 In a statement the NSW Department of Planning said these recommendations will achieve better outcomes for the community, including better-designed open spaces allowing the public to access Sydney Harbour and enjoy Barangaroo South. There are over 20 new or updated conditions attached to the concept plan, including future planning assessment requirements, which mean any further proposals at Barangaroo South must consider public access, open space and a range of specific design requirements. A spokesperson for the Department of Planning and Environment said that the independent Planning Assessment Commission would now make the final decision on the proposals. “This recommendation was made after thorough assessments against clear and consistent rules,” the spokesperson said.